Tomorrow is always a new day, a new beginning and a fresh start to get it right. There are dark silent moments of self loathing that bring disappointment about life's obstacles and the choices we made that didn't go like we planned or thought it would go, but each morning that we awaken to a new day, is the Universe's way of letting each of us know that the plan is still a go and our lives will manifest correctly if we only just trust, have faith and believe even if we don't have all of the answers right now. As a Pisces, we are known as the go with the flow types. It's definitely my truth, but it also has had it's downfall when I allowed myself to flow and focus too much on others and not enough on myself. It forced me to sit down and have my quiet moments just so I can listen to that inner voice, that screaming child that knows exactly what she wants and is screaming loud enough for you to listen. I finally heard her. I am becoming more and more aware of who I am, what I want and where I want to continue to journey through this life. My third grade teacher once told me I was going to be a writer based on the creative writing assignments I used to turn in. There was something about the way I conveyed my thoughts and feelings on paper at a young age, that even she couldn't believe and felt the need to clue me in on my destiny. She got it partly right, but writing over the years, had been difficult especially when there were other things I wanted to explore, but my words never left me and over time I realized that I could exercise my thoughts in three ways, words, speaking and art. I feel more fulfilled because when I don't want to write, I will talk and when I don't want to do either of those, I will paint. I found my calling in three ways, but still an outlet of expression and creativity that makes me who I am and what I want to be known as, a woman who created her life's destiny through those three mediums and I couldn't feel more fulfilled besides helping people look and feel their best being a Skincare Specialist by day. It's still an outlet to motivate, inspire and drive others to want to feel, be, and look their best because it's what I am aspiring and working on each day for myself. So, cheers to a new year! Be kind and patient with yourself. 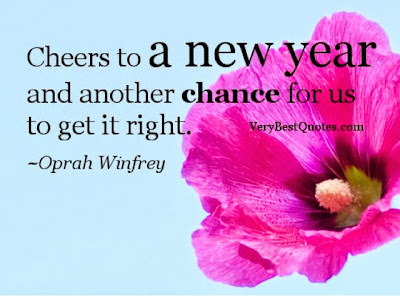 Let's toast to another chance to get it right. Happy New Year. On a side note, Lolo Knows Radio Show will be recorded on Wednesday for the New Year's Eve party in Akron I am hosting. Download the I Heart Radio App or you can follow my show on ITunes.